Dirt, grit and grime in tubs, showers and sinks are no match for S.O.S® Non-Scratch Scrubbers! Made from polypropylene fibers that scrub without scratching, these reusable scrubbers are packed with the cleaning power of America’s #1 selling soap pad* so all you need to do is wet the pad, scrub and rinse. Removing bathroom stains is easy with S.O.S® Non-Scratch Scrubbers, soft in your hands and perfectly shaped to easily clean corners and crevices. 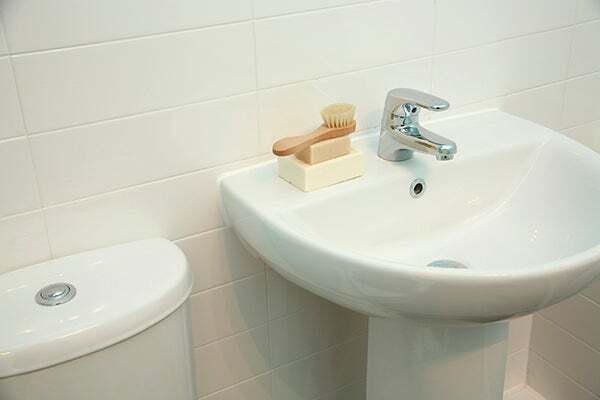 Discover how to clean your bathroom quick and easy…with S.O.S® Non-Scratch Scrubbers!